Booking is now open, and full information (prices, times, location) is on the BOOKING FORM below. 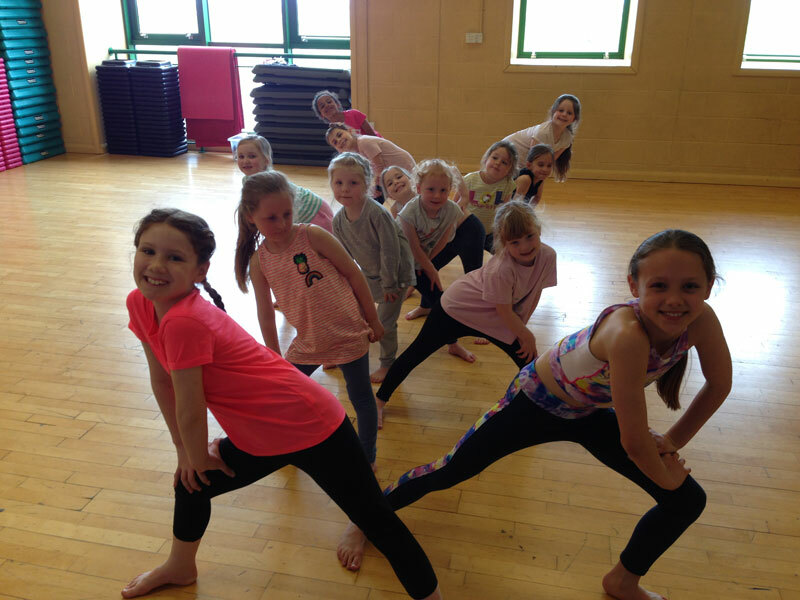 P.S There will also be some holiday Nursery Dance classes during the first two weeks of summer, so our little ones can keep dancing! Information will go out to current nursery dancers soon. 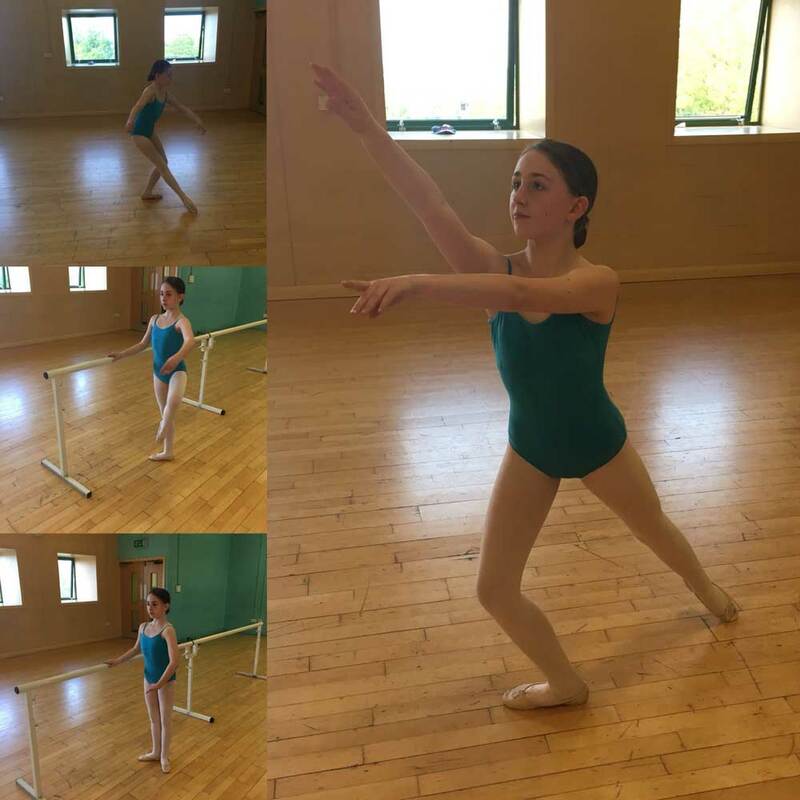 Ellie has been dancing at JC Dance since the beginning of 2016 and attends Ballet and Modern classes. Ellie has been awarded Student in the Spotlight because of the progress she has made in that time in terms of her confidence. Her first few lessons were nervous and tear-filled but she stuck at it and quickly grew in confidence. Ellie took her first Ballet exam last summer and took part in her first show last November (and despite some initial nerves, loved it!) and now is a happy, positive and hardworking member of her class. 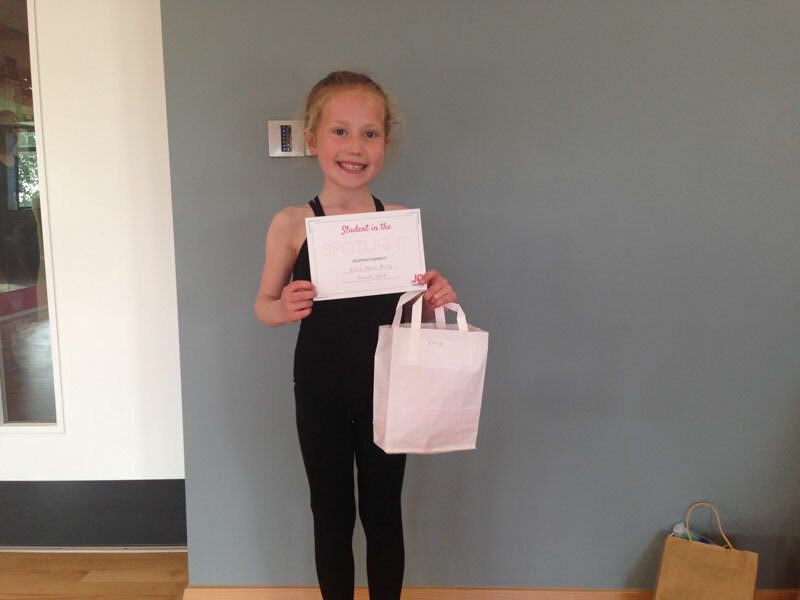 Here she is with her certificate and winner’s t-shirt… Well done Ellie!